BlytheLife.com » Kittyrobot Custom Pullrings Giveaway: The Winners! But you’re all interested in finding out who won, I’m sure. As I hope you can recall, there are going to be two winners and each winner will get a pair of custom pullrings. Which is awesome – you can have two dolls with special pullrings or perhaps just one doll with a set of special pulls (sleepy eyes FTW!). 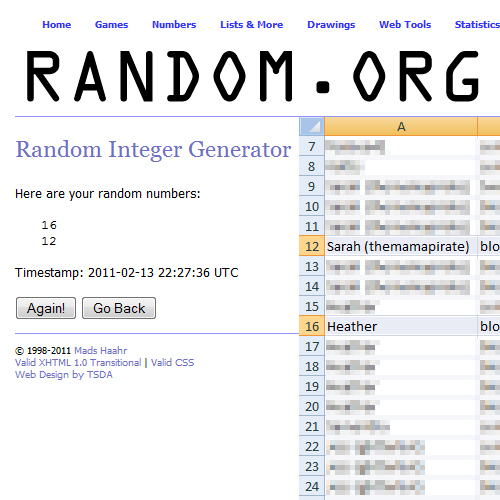 Congratulations to Sarah (themamapirate) and Heather! I’ve emailed both of your email addresses to Jodie for her to get in touch with you! I’m so psyched about this!!! Thank you! And thanks Blythelife.com! It was funn! Congradulations to the two winners! Think I’m going to need to stop by Jodie’s shop and get me some pullrings! !